I admit that I'm a super collector of travel brochures...basically any kind of travel brochures. 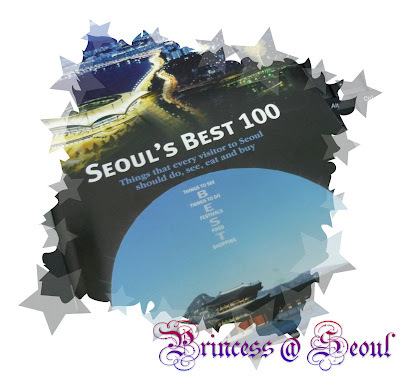 And I got this "Seoul's Best 100" during my trip to Korea. I have more, brochures which shows particularly on one destination by region, I have a bag full of these... The Seoul Metropolitan Government really had dumped a lot of $$ to print these brochures and maps, and out of the many brochures, I like this the most. Gyeongbokgung was established in 1395 as the residence for the founder of the dynasty. The most representative remaining example of Joseon Dynasty architecture, it is the culmination of the finest techniques of the age. Inside the grounds stand the National Museum of Korea, the nation's largest, and the National Folk Museum. Certainly a must-go place if you visit Seoul. Although it might be a little boring for people who doesn't like history or museum or statues, but by understanding the historical background of one country is the best way to perceive their lifestyle and culture. There was a shop where you can rent the Hanbok and take photo. Can't remember the price but am really regret because I should wear the traditional one that time. Luckily I still able to wear once during the Korean Festival Week in university. Changdeokgung, well known for its Secret Garden (Hu Won), is the best preserved of Seoul's major palaces, and has been designated as a world heritage site by UNESCO. To protect the cultural properties, only guided tours are permitted (thus I missed visiting this one). Royal Guards Changing Ceremony is reenacted here every afternoon except Mondays. 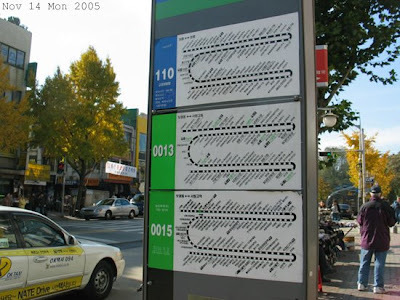 Designated as Tourist Zone, Itaewon is one of the most popular shopping and dining areas for foreign tourists. More foreigners are seen here than Koreans, and English is widely spoken. It is the home of Korea's mosque - the spiritual home of Korea's Muslim population. 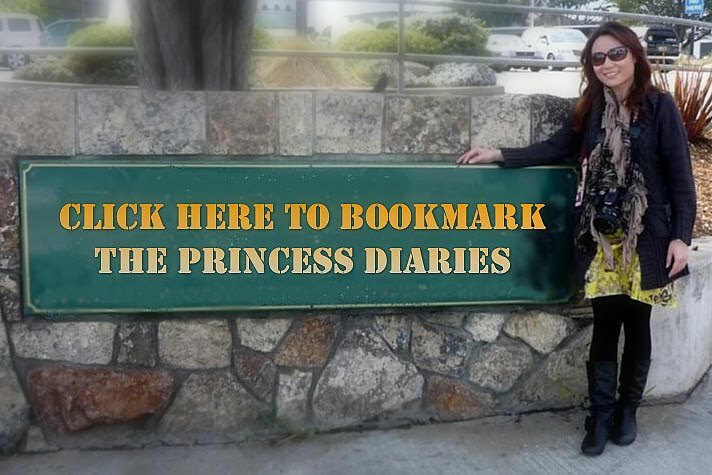 During the day, Itaewon is a popular shopping area where clothing, shoes, antiques and fur and leather products sell at relatively cheap prices, and a variety of foreign restaurants serve foods of countries all around the world. After dark, the area heats up, as many pubs fill up and nightclubs throw open their doors. A certain amount of risque entertainment is also available here. 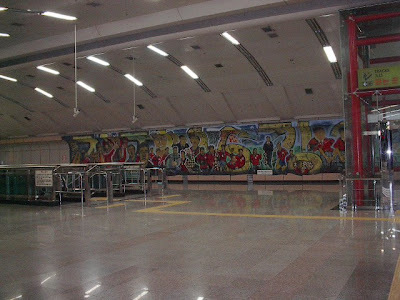 As per described, it is a place full of foreigners instead of Koreans. Shops selling sports items can be found along the streets. We spent less than an hour there because there's nothing much that we were interested to buy or see. What we opted for was cheaper range of Korean handmade souvenirs and processed food such as Red Ginseng sweets and seaweed (we went to Namdaemun Market then...). Itaewon is more like a shopping place for the teens and youngsters who are looking for clothes and fashionable goods. This entire area is a virtual living museum. This area's alleys are lined with traditional and modern buildings, home to art theaters, antiques, handicraft shops, traditional restaurants and tea shops. Insadong festival is held featuring ancient art exhibitions, masquerades and poterry making. This area is closed to cars on Sundays. Daehangno, originally a university campus site, is filled with an avant-garde atmosphere. Numerous mini theathers and concert halls make the area a focus for drama and concerts. Daehangno also offers various kinds of food and attractions including trendy bars, restaurants, stylish cafes and street performances. Amateur singers, dance performers and artists who sketch your portrait can be found at Marronnier Plaza. Every new trend originates here! 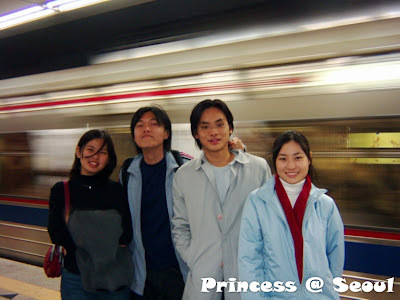 As the home to three universities, Ewha, Sogang and Yonsei, Sinchon is Seoul's student quarter. It is an area popular among both foreigners and Koreans. This district is packed with coffee shops, eateries, hip bars, rock cafes, all types of nightclubs and movie theaters. The area fronting Ewha Womans University - the world's largest women's university - is a famous shopping haunt for young females. This area is jammed with beauty shops and boutiques selling apparel and fashion accessories (jewelry, purses and shoes). 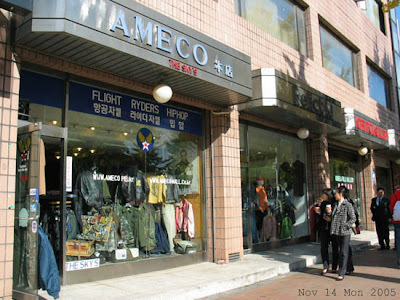 It is said that Korean fashion starts in Myeongdong. 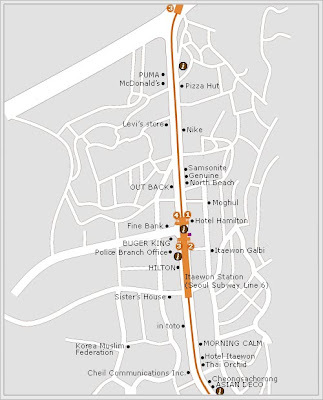 This pedestrian-friendly area in the heart of the city is loaded with department stores, shopping malls and mid-market apparel shops - particularly casual and sports wear retailers. Fast food, western and traditional restaurants abound as well. 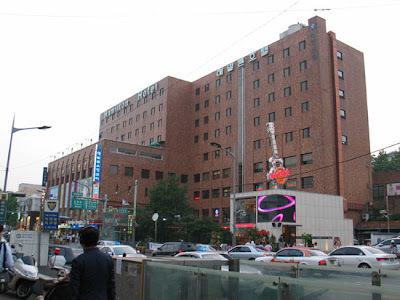 Myeongdong also houses bank headquarters and security houses; three five-star hotels and city hall are within walking distance. 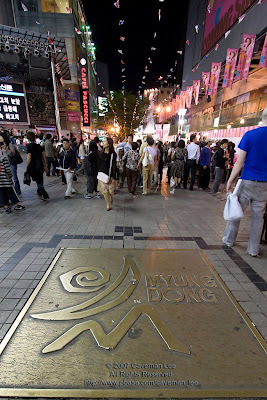 The Myeongdong festival is held in April and September. The festival begins with a colourful opening parade followed by Miss Myeongdong Beauty Pageant, a folk play, a traditional wedding ceremony, street fashion shows and makeup shows. Shopping! Shopping! Shopping! That's where I spent almost all my money in Korea...aawww.... I bought blouses, wool gloves, shawl, socks, hair pins, accessories, decorative ornaments, photo frames, handbags, purse…. I'm broke in a day! From street stalls to 4-storey departmental stores, I would say 3 days also not enough for me do to shopping… In Myeongdong there are quite a number of foreigners too, especially Japanese. 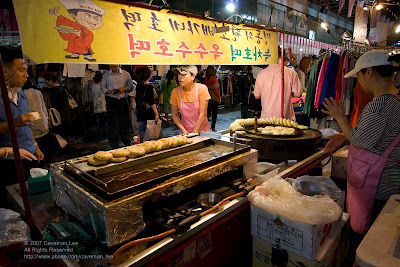 You will find that all the street stalls label the price of their goods in both Korean won and Japanese yen. There were a lot of Japanese visiting Myeongdong during the weekends particularly do to shopping. The area is really too big and we almost lost in the middle of nowhere, luckily we were able to find the "i" kiosk (tourist information kiosk) and then asked for direction. 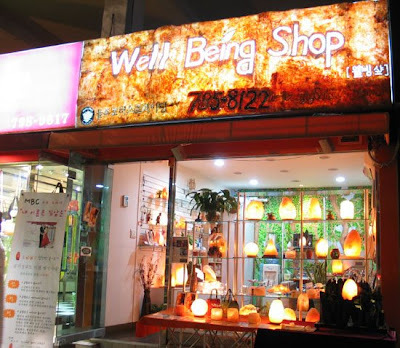 It wasn't that unlucky at all because after that I found the recommended shop for Sam-kye-tang (Ginseng chicken soup)!! Hmm... if you read through you should find my insights under photos -- "My thoughts on ..."
Looking forward to reading the rest of your 'Best 100' picks.